Insights and practices to make menopause the most creative, powerful time of your life. Are You Ready for the Most Creative and Powerful Time of Your Life? If you're a woman who is now or soon to be experiencing menopause, a word of warning from Joan Borysenko, PhD: you are about to become a force to be reckoned with! Does the word "menopause" bring a moment of fear in your body, or does it give you a feeling of power and greater possibility? 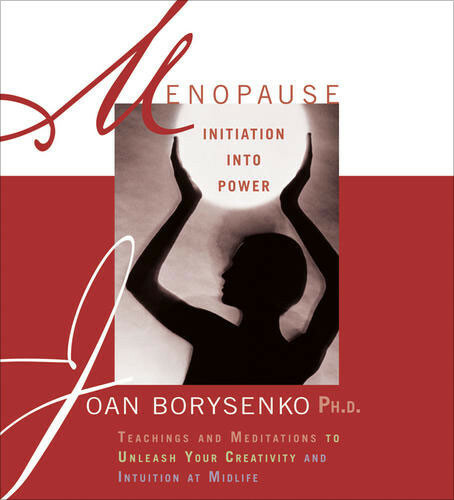 Joan Borysenko believes that if you knew the truth about menopause, you would look forward passionately to this adventurous stage of your life. Now, with Menopause, you have an unprecedented course to begin your initiation into power.